As of Sunday 4/10/16, the photo had thousands of likes and over 1700 comments; some of which called for the post to be removed. 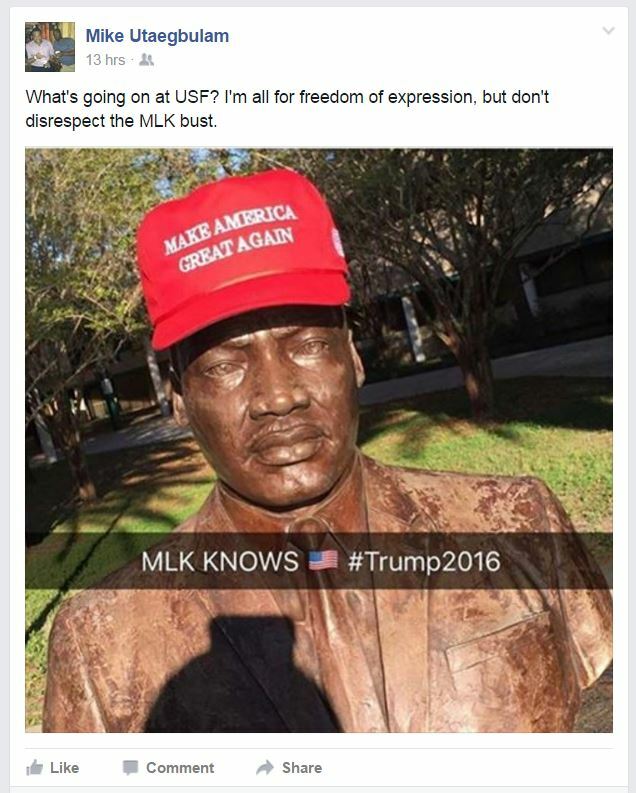 Though not on Instagram, we noticed comments online referencing the myth that MLK was a Republican and would be supporting Donald Trump today if he were still alive. This myth of MLK being republican, has circulated for decades but has never been validated. Martin Luther King, III (son of MLK), has denounced the claims and so have other experts. Dr. King was in fact, critical of both parties feeling that neither adequately took a stand against segregation and discrimination. MLK’S father, MLK Sr was a member of the Republican party. Lewis Baldwin, professor emeritus at Vanderbilt University has written several books about MLK. According to Baldwin, MLK felt that blacks should be independent voters and not be devoted to any party, be it Democratic or Republican.